Home / Question/Answer / Is It Permissible to Have a Favorite Soorah From Quran? Is It Permissible to Have a Favorite Soorah From Quran? It is not wrong for a Muslim to single out a surah from the book of Allah for extra attention, whether that is reciting it or listening to it or learning about its meaning, virtues, rulings warnings etc. It should not however, lead a person to neglect the rest of the Quran, neglect in reciting and understanding it. The focus on one surah should be based on some special reason such as trying to develop a deeper understanding of that surah or because a person feels more motivated and moved by its contents. It should not be based on a belief in a particular virtue of that soorah for which there is no proof in sharee‘ah. An-Nasaa’i (1010) narrated that Abu Dharr said: The Prophet (blessings and peace of Allah be upon him) prayed qiyaam all night, repeating the verse (interpretation of the meaning): “If You punish them, they are Your slaves, and if You forgive them, verily You, only You are the All-Mighty, the All-Wise” [al-Maa’idah 5:118]. Abu Nu‘aym narrated in al-Hilyah (2/55) with a saheeh isnaad that ‘Urwah ibn az-Zubayr said: I entered upon Asma’ bint Abi Bakr when she was praying and I heard her reciting this verse (interpretation of the meaning): “But Allah has been gracious to us, and has saved us from the torment of the Fire” [at-Toor 52:27], then she started seeking refuge with Allah (and continued to do so). I got up to leave when she was still seeking refuge with Allah, and I went to the marketplace. And when I came back, she was still weeping and seeking refuge with Allah. Ibn Sa‘d narrated in at-Tabaqaat (7/150) from Bahz ibn Hakeem that Zaraarah ibn Awfa led them in praying Fajr in the mosque of Banu Qushayr, and he recited until he reached the words (interpretation of the meaning), “Then, when the Trumpet is sounded (i.e. its second blowing); Truly, that Day will be a Hard Day. Far from easy for the disbelievers” [al-Muddaththir 74:8-10], whereupon he fell down dead. Bahz said: I was one of those who carried him. What is the ruling on preferring one soorah to another, especially since I love to recite Soorah Maryam sometimes, for example, because I feel comfort and joy when I recite it? 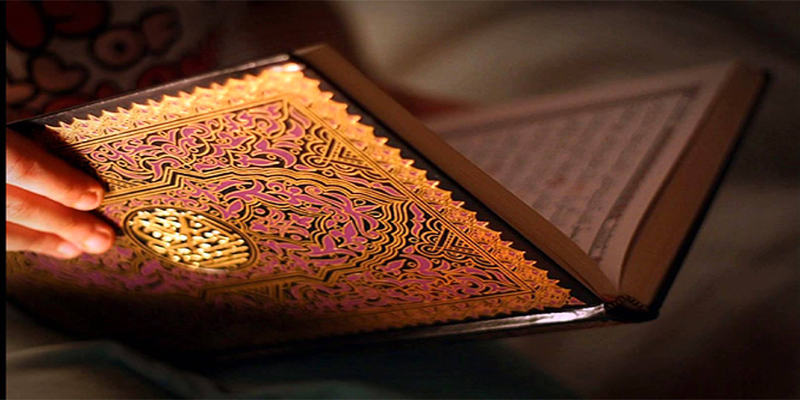 He replied: There is nothing wrong with a person preferring one soorah of the Qur’aan over another for some reason. All of it is the word of Allah, may He be glorified and exalted. With regard to the One Who spoke its words, namely Allah, may He be glorified and exalted, there is no differentiation. But with regard to what it includes of great meanings, there may be some differentiation. It was proven from the Prophet (blessings and peace of Allah be upon him) that “Soorat al-Ikhlaas is equivalent to one-third of the Qur’aan.” If this questioner loves to recite Soorah Maryam because of what it contains of great and beneficial stories, and what it contains of mention of the recompense of the Last Day, and denunciation of the one who disbelieves and rejects the signs of Allah, and other meanings, there is nothing wrong with that at all. It cannot be denied that some parts if Quran may have a greater impact on the heart, instilling fear and hope in the reader than other verses of Quran. If a person has a habit of reading it time to time and gets comfort in doing so then there is nothing wrong in that. What is not allowed is to think that a particular surah or verse has some spiritual or any other benefit or virtue or that reciting it will have such and such reward, without any evidence from the texts of revelation. It is an innovation (bid‘ah) to single out without any evidence, a particular verse or soorah to be recited at a particular time or in a particular place or for a particular need.